I'm happy to present my second best-beloved book to you today. Mary Stewart is an author from the fifties who's not quite as well known as Georgette Heyer, but those who love mysteries and romance all rolled in one should know her. My favorite book is called Touch Not The Cat. The first line already nailed me to the book, so I couldn't put it down until I'd reached The End. "My lover came to me on the last night in April, with a message and a warning that sent me home to him." Who could resist that line, that promise of excitement and danger and love to come? 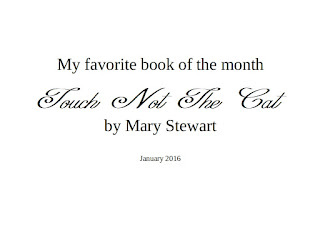 Besides writing love stories full of suspense, Mary Stewart is a master at showing nature in such a way that you are right there, right in the book. Take this passage, for example "There were roses on the wall of the garden house, moonbursts of some white, loose-globed flower which showered half across my bedroom window. The breeze that blew the rain-clouds from time to time across the moonlight tossed the shadows of the roses over the wall and ceiling again and again, each time the same and yet each time different, as the roses moved and the petals loosened to the breeze." When I read that, I was right there in that bedroom with the heroine Bryony, looking at the shadows. Mary Stewart then goes on to describe how her lover reaches Bryony in her thoughts, which is another amazing description: "It comes through neither in words nor in pictures, but -- I can't put it any better - in sudden blocks of intelligence that are thrust into one's mind and slotted and locked there, the way a printer locks the lines into place, and there is the page with all its meanings for you to read. With these thought-patterns the whole page comes through at once; I suppose it may be like block-reading, though I have never tried that." I'm not a fan of fantasy, but this description had me completely hooked! Her lover then tells Bryony bad news, news that make her feel sad and lonely, but he also comforts her, and at that instant, Mary Stewart picks up the description of the roses again and entwines it with the action: "... comfort and love, as old-fashioned as pot-pourri and as sweet and same and haunting. It was as if the rose shadows on the ceiling were showering their scent down into the empty room. Then there was nothing left but the shadows. I was alone." I call this writing hauntingly beautiful. These are words that stay with me long after I have closed the book and have returned to the real world again. Please let me know which authors have done the same for you, so I can check them out! I'll have to check those out, Mel! I know their names, but can't recall if I've read books by these authors. Thank you! 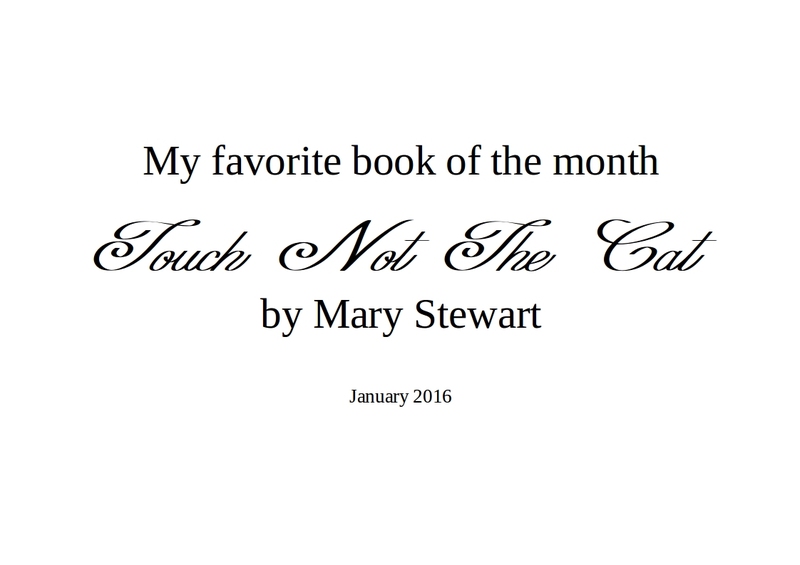 I love this book by Mary Stewart. Now I have to find my copy and re-read it. I hope you'll find it, Elizabeth. I know I bought all of mine second hand, after a friend lent me her cherished copy (which I had to return!). Have fun . . . !